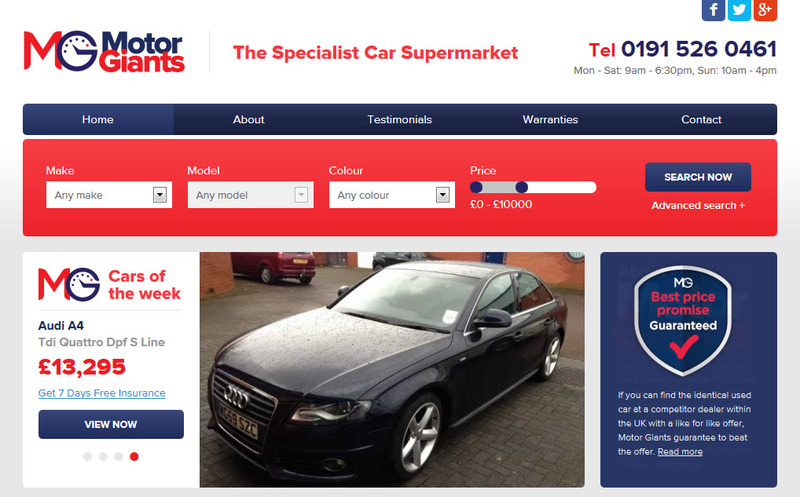 In early April we were approached by Durham based car supermarket Motor Giants to develop their new website. The project came with tight deadlines and fairly specific requirements like an advanced search facility, the ability to reserve a car for a nominal fee of £99, galleries, featured cars and a comprehensive CMS. 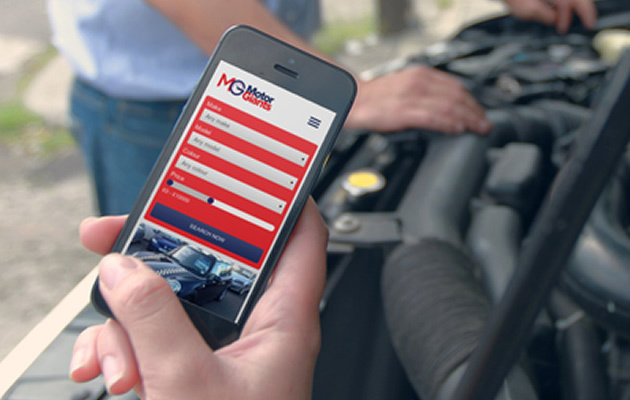 All this whilst working with a 3rd party company who would provide the list of cars in a feed, oh and did I mention that all this needed to be responsive to make sure as much of their prospective customers as possible could enjoy using the Motor Giants website no matter what device they were viewing the site on. I’m sure you’ll agree the site works and looks great. We are fairly sure it’s the only responsive used car website in the North-East!